Keith Stockwell is a full-time husband, father, EO3 Coach and Garage Gym Athlete. When he’s not coaching, he’s an executive in the entertainment industry for over a decade. He’s also a Spartan SGX Coach and competitive Obstacle Course Race athlete. Growing up an avid athlete and playing every sport imaginable through High School, Keith has been involved with fitness and competition his entire life. During his early 30’s he went down the typical path of so many, working long hours, not eating well, and exercising even less. Inspired by CrossFit in 2012 he joined a local box determined to get back in shape. He rekindled his fire to train, compete, learn new skills, and become a better human. During his years with CrossFit he found that his training and results had stalled, so he set out to build his own garage gym. 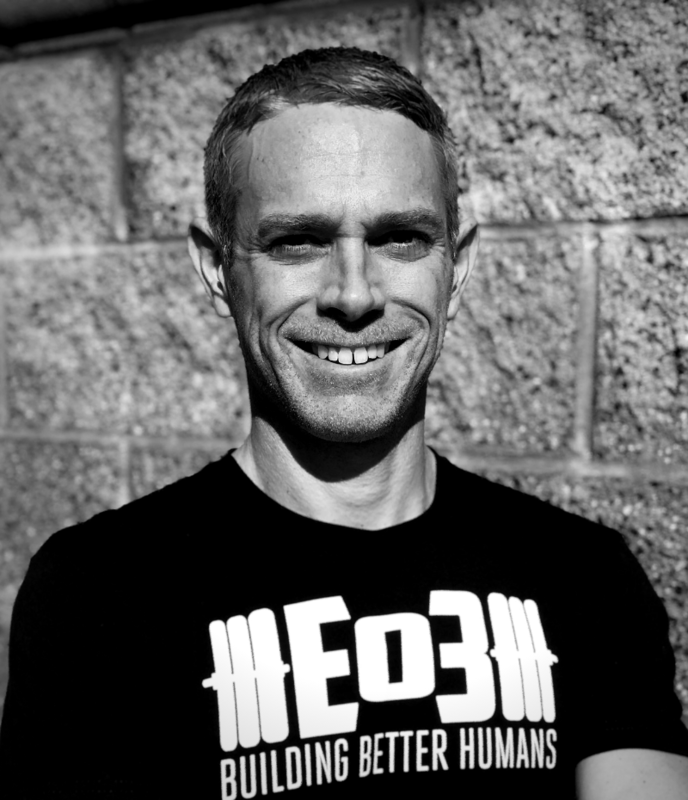 Shortly after that he came across Jerred’s End of Three Fitness, and inspired by his training methods and betterhumanology goals he began training with EO3 in 2016. Since that time EO3 training has made Keith stronger, faster, more powerful, less prone to injury and ultimately harder to kill. He will tell you that he’s more fit now than he’s ever been! His first full season of competitive obstacle course racing has been very successful and he credits EO3 training. Keith programs for competitive athletes, military and first responders, average joe’s and jane’s, youth athletes, teams and stay at home mom’s.